I’d like to start by saying thank you so very much for the encouragement and the kudos for this most recent race! Your wonderful support really does carry me through all of the madness… from the first step of the training cycle right on through to the finish line. I’m extremely grateful and appreciative for you! I’ve made some great blogging friends, and I feel truly blessed. 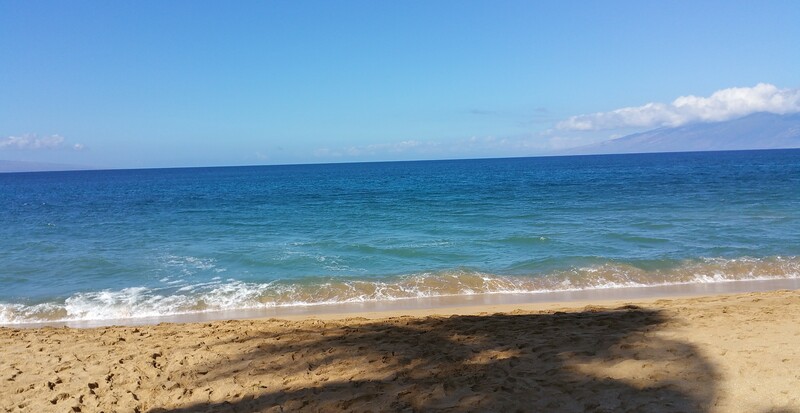 Jamesy wrote a fun article detailing the Maui Oceanfront Marathon. I know my “race recap” was brief and to the point… it was hard and it hurt. But if you’re curious and would like a bit more of a detailed description, go visit his site. He actually makes the pain sound somewhat humorous! Speaking of pain, we suffered our worst about 48 hours after the race, per normal. Neither of us could walk very well, which called for a great relaxing day hanging by the pool! As of now, my feet have mostly recovered… I’ll lose a few toenails, but hey, it happens. I’ve realized I need to stay with my Brooks Glycerin shoes for every race from here on out as I don’t have feet problems when I race in them, AND, I need to stay about a full size larger than what I normally wear because, yes, my feet do swell that much (the ones I wore in MOM were only 1/2-size larger). As for James, his calves are still a bit tight, but he’s gradually getting better. He has one more week of recovery before he starts his next training cycle, so he should survive as well. 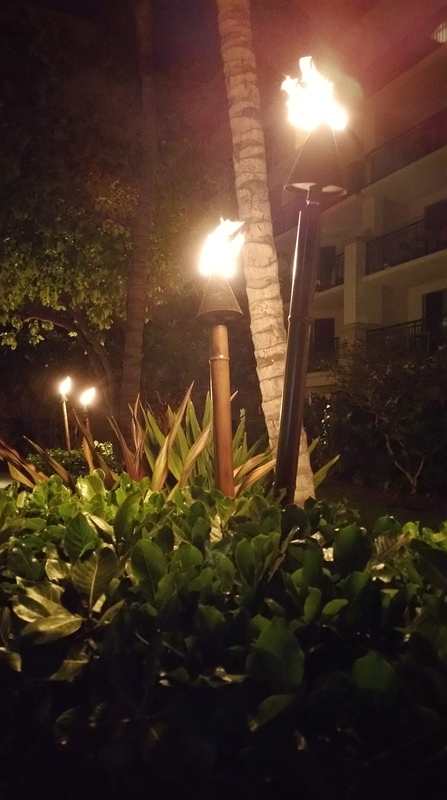 This entry was posted in Races and tagged 13.1, 26.2, 50 in 50 Marathon Quest, blog, blogging, blogging101, Half Marathon, Maui Oceanfront Marathon, photography, races, runcation, running, training, weight loss, writing on January 24, 2016 by Paula. two thumbs up on the glycerins! yikes, sorry to hear about your toenails. I’ve done that and learned I need a full size larger too. How’s streaking going? Believe it or not, we’re still streaking!! I think it’s actually helped me to recover faster from the race! I also spaced out my runs to help my feet heal, you know, morning one day, evening the next, :D, so it’s all good!! I’m with artisticsharon on this one. I lost a couple of toenails after my first marathon. My usual shoe size is a UK6, and I was wearing trainers in a 6.5. I now wear 7.5s for anything over half marathon distance and have never had any problems (and I wear at least 7s for everything else). A whole size larger? I’d probably trip over my own feet!! lol…how many more states do ya’ll have left to run in? Oh no! I missed the opportunity to congratulate you on your race! TOUGH as NAILS you are- that sounds like a really tough race that I’m going to avoid if I want a feel-good race. Way to you for sticking it out… even when it meant losing a few toe-nails (ouch). That pic’ by the Banyan tree is awesome!! And I hope you and James had the most wonderful time there with AJ. Everything about the race-cation, except for the race (though that’s pretty cool to say you’ve run in those conditions…. and gotten it out of the way early) sounds amazing and I’m jealous. In the future, if you’re ever looking for a winter race that’s loads of fun, try the Fort Lauderdale or Miami marathon in Florida 🙂 And let me know! Thank you so much Dorothea!! We actually are looking into Miami!! Great bling!! After reading about other people’s experience with the Dopey Challenge, we’ve completely ruled that one out, at least until we retire, lol! And yes, we had an amazing time in Hawaii, bruised toes and all, haha!! Wait! When’s you birthday? I thought tomorrow? Wow you guys are amazing! I hope your poor feet are ok! Rest up! Maybe I will come see you at that race haha! You guys are so amazing! It would be so much fun to meet you. I am most likely coming over Spring break to see Yusuf and Alicia! So if we come I will hope to somehow meet!!! Spring break I think is mid March. I’m a fellow Brooks advocate–best shows ever. Good luck with training for the next race! I love your updates!